Join Gunther Tours to make fond memories of caverns, America's largest underground lake, the beautiful Great Smoky Mountains, and a delightful railway adventure on our "Columbus Day" weekend get-away! Welcome Aboard! Come celebrate "Columbus Day" weekend on an exciting Gunther Tours get-away to "The Volunteer State," Tennessee. We'll discover and experience exhilarating and entertaining attractions that will include exploring caverns, an underground boat ride to America's largest underground lake, a stay in the beautiful Great Smoky Mountains, and a delightful railway adventure train ride! Before checking into the Fairfield Inn & Suites in Knoxville, Tennessee for the night, we are treated to a delicious dinner at a Cracker Barrel restaurant. After a deluxe continental breakfast, we depart for Sweetwater, Tennessee and The Lost Sea Adventure, America's Largest Underground Lake! Upon our arrival, your Lost Sea adventure begins with a guided tour of the caverns. This involves a ¾ mile round trip walk on wide sloping pathways. While touring the caverns and underground lake, your guides will detail the cavern's exciting, colorful history, and will explain the fascinating geological development that created the immense cavern rooms and rare formations. 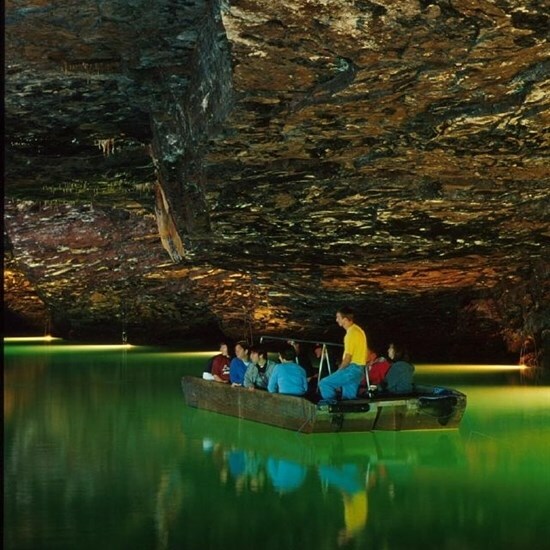 At the bottom of the cave you will board a glass-bottom boat for an exciting trip on the Lost Sea. The boat ride offers you the chance to view the large collection of rare anthodites, (cave formations composed of long needle-like crystals situated in clusters that radiate outward from a common base. The "needles" may be quill-like or feathery), more commonly known as "Cave Flowers". Note: Please make sure you are an able walker before booking onto this tour. Wear comfortable walking shoes, (no heels). This tour is not suitable for people who have trouble with mobility! Next, we depart for the foothills of the Great Smoky Mountains and Pigeon Forge, Tennessee. 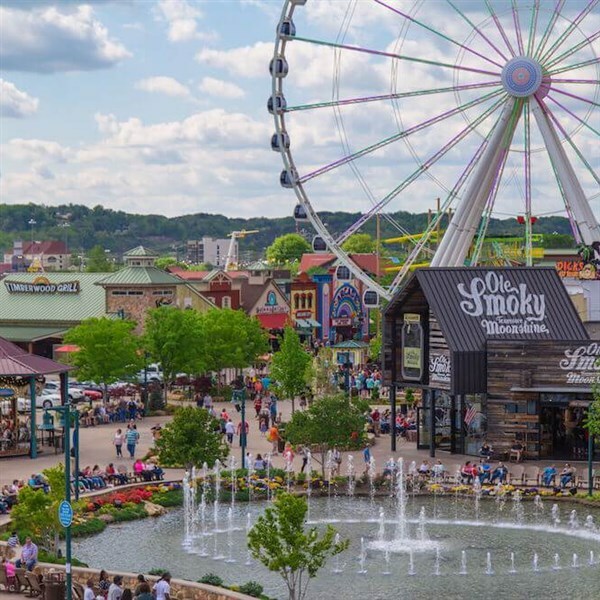 Upon our arrival, we visit The Island at Pigeon Forge, where you can enjoy shopping, lunch and the various entertainment attractions, including the Great Smoky Mountain Wheel. Take in unparalleled views of the world famous Great Smoky Mountains in comfortable all-glass gondolas on this 200-foot-high observation wheel. Lunch is on your own. Later we depart for our hotel accommodations for the next two nights at the Country Cascades. After check-in, you will have time to sit, relax and freshen up before going out for a tasty dinner at Mama's Farmhouse. Next, we enjoy this evening's entertainment at the Country Tonite Theatre. 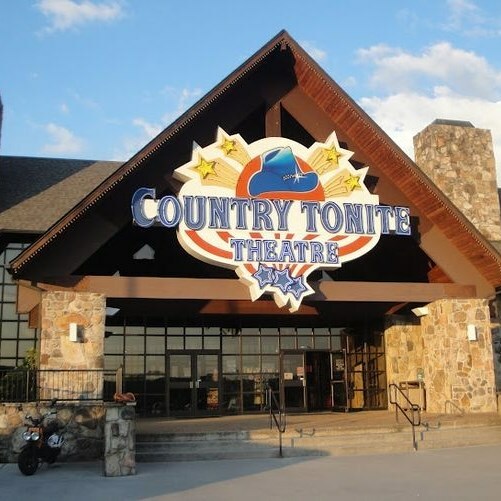 Tonight's live country music show is a perfect blend of country classics from some of country music's most legendary artists, and the contemporary country hits of today. After a deluxe continental breakfast, we meet our step-on guide, and depart for a tour of the Great Smoky Mountains National Park, America's most visited national park. Following our park tour we depart for the historic mountain town of Bryson City, North Carolina and the Great Smoky Mountains Railroad. Upon our arrival, we will embark on a 4-½ hour, 44-mile round trip train ride along the Tuckasegee River, over the impressive Fontana Lake Trestle and into the Nantahala River Gorge. Listen to Bluegrass music and hear Appalachian stories while traveling along the Tennessee and Nantahala Rivers. The excursion features a one-hour stop at the Nantahala Outdoor Center where you will find three restaurants and a pub, a fully stocked Outfitter's Store, the Wesser General Store and Fly Shop, and the Nantahala Welcome Center. Enjoy relaxing by the river or sightsee on your own before re-boarding the train. A hot lunch will be included during your excursion. Following our train ride, we return to our hotel in Pigeon Forge for a restful night's sleep. A dinner stop will be made en route. Dinner is on your own. After a deluxe continental breakfast, we depart for home taking with us fond memories of caverns, America's largest underground lake, the beautiful Great Smoky Mountains, and a delightful railway adventure on our "Columbus Day" weekend get-away!